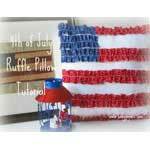 4th of July crafts are easy and fun to make. 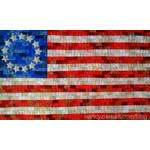 Celebrate the 4th by making some of the many Independence day patterns below. 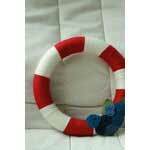 Pin felt squares onto a circular wreath for a Fourth of July wall or door decor. 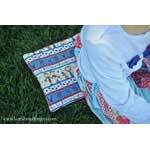 Here is a simple pattern for making this patriotic bag in bunting style. Give a plain dress or top the star treatment using painter's tape and fabric paint. 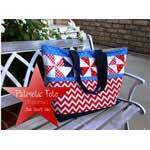 Here is a tutorial for making a patriotic tote bag out of fusible fleece. 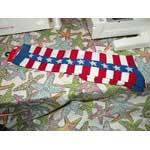 Re-purpose a pair of patriotic socks into toddler sized sleeves. 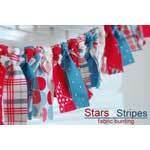 Turn fabric scraps into a holiday bunting project the kids can take part in. 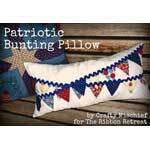 Add to your homes d?cor by with an American bunting pillow. 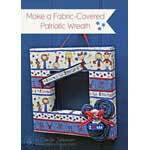 Say "I Love U.S.A." on a square wreath covered in patriotic fabric. 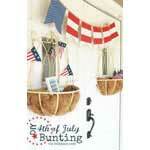 Step by step pattern on flag bunting all in the spirit of Independence Day. 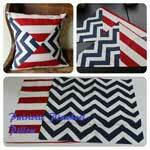 Make a flat pillow that is perfect for sitting upon at picnics or watching fireworks. 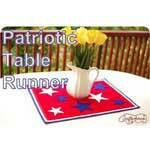 Make placemats with matching napkins for an all American picnic. 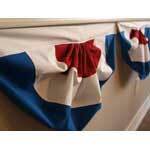 With a few supplies you can create this vintage ruffled flag for the fourth. 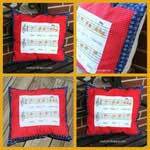 This pattern takes patriotic song lyrics and adds them to a homemade pillow. 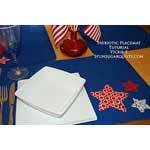 Use iron-on stars with an exising placemat for a quick fourth of July place setting. 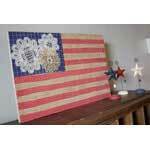 Glue burlap and doilies onto a piece of wood for an American flag that pops. Glue 2 yards of ribbon to a blue wooden stick for a fun holiday streamer. 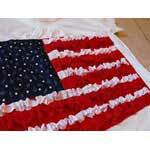 Re-purpose a t-shirt and make a ruffled flag shirt for the Fourth of July. 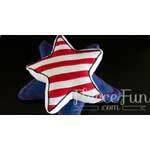 Create a folded star mini pillow that represents America's Independence Day. 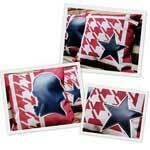 Create these patriotic outdoor pillows for your 4th of July party on the patio. 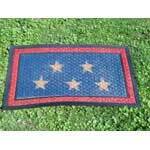 Iron a blue star onto red burlap for an American pillow filled with pride. 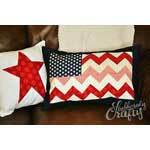 Add red, white and blue to any room by making this stars and stripes pillow. 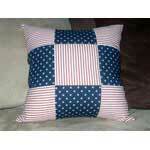 A few fat squares are sewn together for an all-American throw pillow. 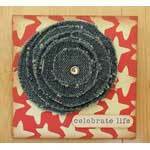 Make a denim flower just by cutting out circles from a pair of old jeans. 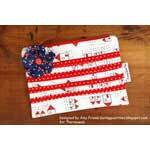 Oragami flowers are used here as part of this all American pillow project. 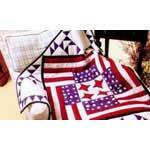 Nine squares of stars 'n stripes are sewn together for a patriotic pillow. 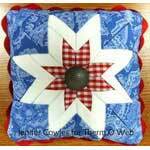 Here are step by step instructions on creating a patriotic pinwheel pillow. 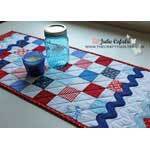 Large ric-rak sets off this red, white and blue patch work tablerunner. 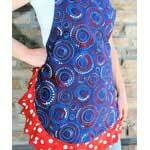 Use this simple pattern to sew a red, white and blue apron for the fourth. 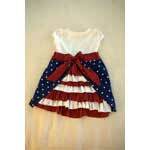 Re-purpose used clothing to make a Fourth of July dress for your toddler. 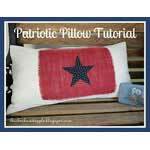 It takes just a little time and money to make a flag pillow using this sewing project. 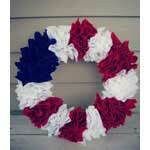 Wrap yarn around a 14 inch foam wreath for a wall or door hanging this fourth. 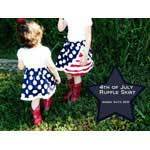 Make a July 4th themed ruffled skirt using this step by step pattern with pictures. 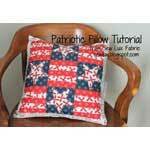 This pattern uses the pinwheel technique for a 4th of July tablerunner. 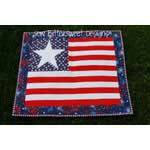 Create a stunning Betsy Ross quilt using these easy-to-follow instructions. 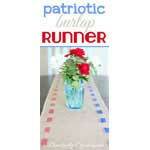 Add to your table's decor with this patriotic runner in red, white and blue. 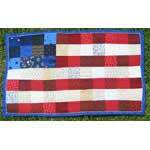 Sew a vintage quilt from the World War II era and let your flag fly. 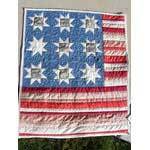 Stars are bursting within a blue boarder on this 70x70 inch quilt. 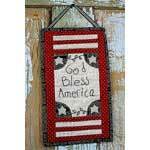 Create this colorful wall hanging of the American flag framed in fireworks. 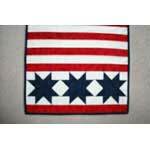 Here is a simple pattern for making this nine star flag quilt for the fourth. 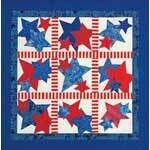 Cut scrap fabric into 2.5 x 2.5 inch squares for an American flag wall hanging. Make this American flag appliqu?' that looks to be waving in the wind. 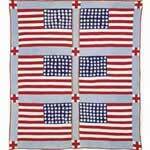 Celebrate your love for the good ole' USA with a quilt made using this pattern. 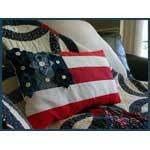 Here is an easy to make quilted wall art that reads "God Bless America". Create a runner bursting with white and blue stars on a red background. 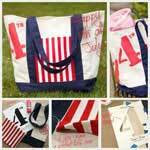 Use card stock and fabric paint to turn a canvas tote bag into something special. 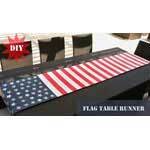 Create an American Flag tablerunner using acrylic paint and bamboo. 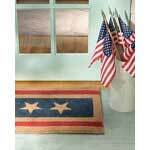 Spray paint an existing doormat to make this all-star doormat for your home. 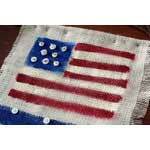 Buttons and burlap come together to create a piece of July 4th wall art. 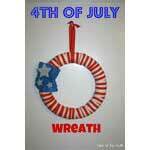 Make a 4th of July wreath with just a few supplies and a small amount of time. 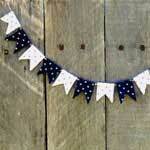 Make Fourth of July bunting out of scrapbook paper using this craft project. 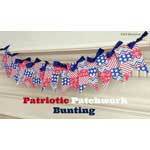 Show your American pride with this easy to make banner in bunting style. 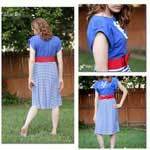 Sew a patriotic sundress by re-purposing clothing you no longer wear. 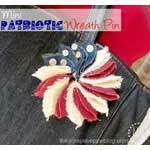 Denim and burlap plus a few buttons make this red, white and blue pin. 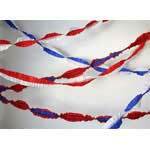 Simply sew together store bought streamers to create festive party d?cor. 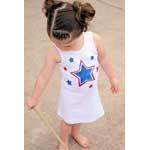 Dress your little girl in patriotic attire with this simple to sew pillow case dress. 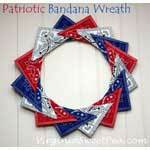 Glue red, white and blue bandanas onto a wire wreath for patriotic door art. 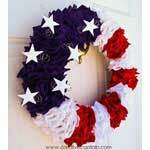 This ruffled wreath is simple to create and has all the U.S.A. colors plus stars. 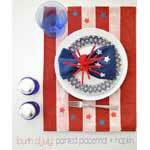 Dress up the table setting this 4th with a burlap table runner with weaved ribbon. 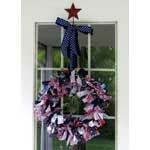 Turn your scraps into a rag wreath that is bursting with American pride. 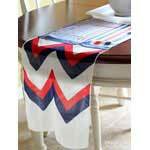 Re-purpose red, white and blue scarves into a Fourth of July table runner. 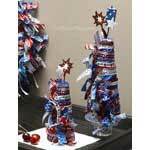 Wrap bandana strips around a Styrofoam cone for a celebratory centerpiece. 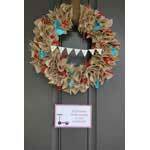 Using eighteen inch wide bunting you can make this eye catching door medallion. 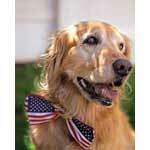 Help your dog feel a part of the celebration with a patriotic bow tie. 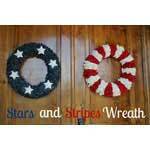 Create a wreath of stars and one of stripes using burlap fabric and this pattern. 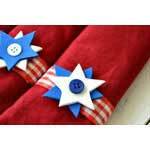 Surround cloth napkins with these easy to make Fourth of July napkin rings. 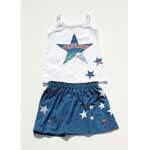 Re-purpose used clothing by cutting them into stars for an allstar skirt and top. 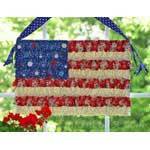 Welcome guests this Fourth of July with a doormat using this pattern. 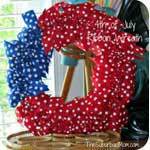 Squares of burlap come together to make this attractive July 4th wreath. 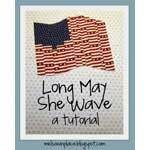 Here is an easy to make banner that is perfect for Independence Day. 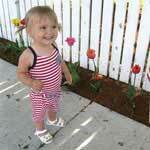 Make this adorable red, white and blue romper for your little princess. 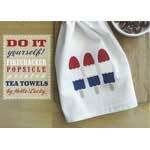 Paint on popsicles to create this Fourth of July tea towel. 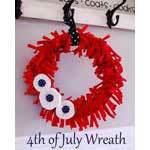 Re-purpose old t-shirts by turning them into a wreath for the 4th of July. Glue ribbon onto the pockets of denim shorts for an all American attire. 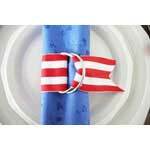 Attach D-rings to ribbon for a unique and patriotic napkin ring. 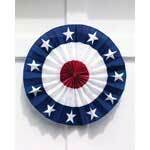 Celebrate Independence Day with a ribbon wreath you made using this pattern. 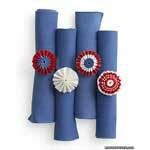 Decorate a Fourth of July picnic or dinner table with celebratory napkin rings. 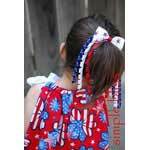 Make a spectacular pony tail bow to be worn on Independence Day or anytime. 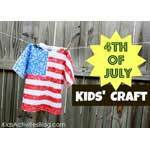 Turn a white tee into a flag shirt using a craft sponge and fabric paint.